Healthy, high functioning teams don’t just happen—they are created through honest conversations and intentional design. Whether you’re a team leader or a team member, you have more power to influence your team than you realize—we have some powerful tools to help you leverage that influence. 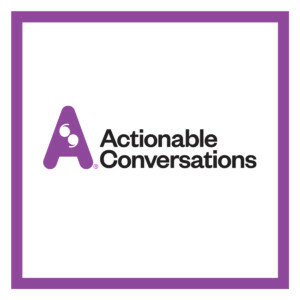 Actionable conversations are beautifully designed mini workshops that you can lead at your next team meeting. 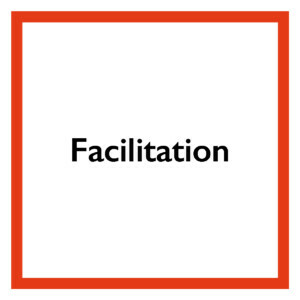 Each workshop is a conversation about a topic that is relevant and compelling for your business and your team. They are structured for succinct, engaging bursts of insight and connection, and they’ll radically increase your credibility as a leader and your team’s capacity to function brilliantly. A video that highlights the key points you want to make and breaks down exactly how to hold the conversation. A leader’s guide that scripts out exactly what to say, what questions to ask to get your team talking, and any other materials you’ll need to knock it out of the park. An app that will measure action and results that come from having this structured conversation with your team. In the new economy, conversations are the most important form of work. Conversations are the way knowledge workers discover what they know, share it with their colleagues, and in the process, create new knowledge for the organization. Healthy, high performance teams are high trust teams. Information, feedback, and success are all shared openly and generously. Team members are committed, engaged and connected. They are aligned around their collective purpose, and share responsibility for results. 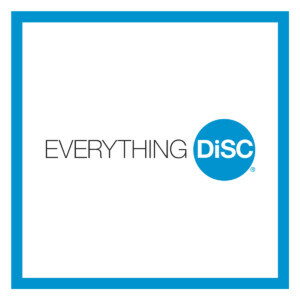 Everything DiSC is the best tool we know of for building team cohesion, building a common understanding and language for how your team can work together and bring out the best in each member. Everything DiSC offers powerful insights, concrete solutions for better workplaces and higher productivity. help individuals develop a broader understanding of themselves and their working relationships, explore their potential and engage effectively with others. clarifying roles, decision making authority and lines of accountability. Contact us today for a free consultation about the health and functioning of your team.